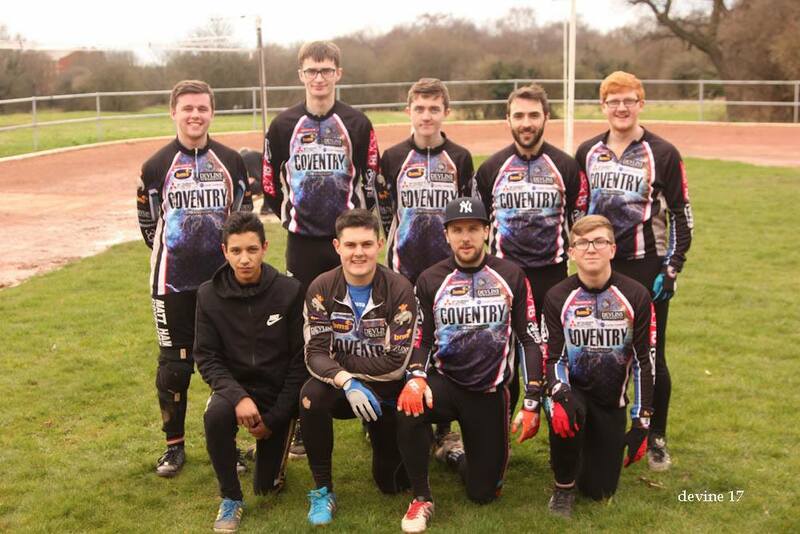 Coventry Cycle Speedway had mixed fortunes in their first home encounter of the season, with the first team losing out in a challenge match to Manchester side Astley & Tyldesley, while the second team took victory against local neighbours Birmingham. Astley fielded a strong team led by the former European champion, Damian Zareba, with solid back up form Reece Pollitt and guest Steve Harris. Coventry Sabres called in their own cavalry due to unavailability of Dom Rycharski, Dan Drewett and Kyle Barlow, as former Elite League Sabres riders, Ben Higham and Adam Watson gave the home side some clout at the 11th hour. Captain Myke Grimes’ new found pairing with emerging hot prospect Jimmy Wassall paid dividends once again in the opening heat, with a well crafted maximum first heat advantage for the second week running. Coventry side v Astley & Tyldesley. (L-R back: Matt Hambidge, Adam Watson, Ollie Morris, Joe Andrews, Ben Higham. Front: Cameron Gill, Sam Hardie, Myke Grimes, Jimmy Wassall. Photos by Paul Devine. A&T hit straight back in the following races, as Coventry found the experience of Zareba and Harris difficult to handle. The match ebbed and flowed and Coventry were able to capitalise with two more heat advantages in the first half, but filled the lion’s share of last places and found themselves behind by the break. Astley chipped away at Coventry in the second half and edged further in front, until Grimes and Zareba had an alarming coming together on the last lap of heat 15 (cover photo), which saw the Pole excluded by referee Josh Marsh for cutting across and giving the hosts a 7-2 advantage to bring the match back to three points. The away side increased their lead over the final three heats to take a well earned victory by 92 points to 86, but Coventry will take lots of positives from the match. Jimmy Wassall once again impressed and will be a key rider for the Sabres this season. Sam Hardie, a perpetual battler, displayed another steady performance and the Higham/Watson guest duo provided the top end quality needed to contend with Astley’s big guns. 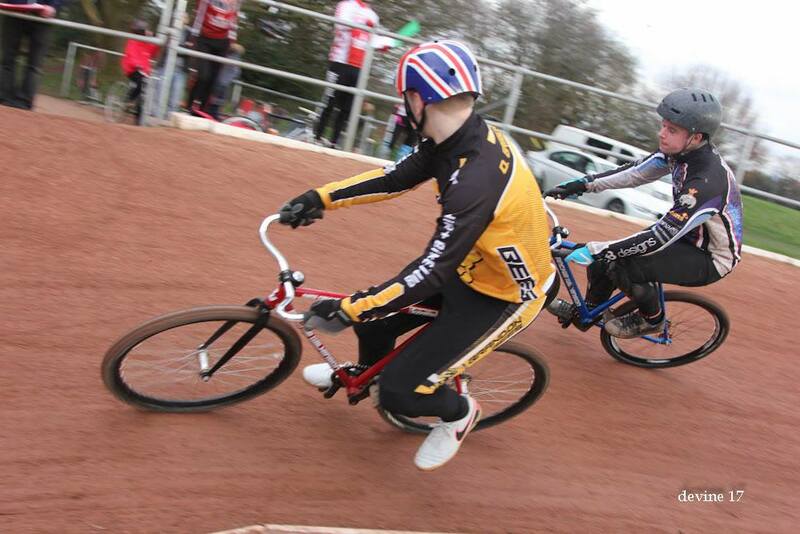 In the second team challenge match, Coventry won 71-66 and gave debuts to promising riders, Lee and Owen Gregory. It was a worthwhile exercise for Coventry’s riders, coming up against the experienced duo of Paul Timms and Steve Hodgkinson, who made them work hard for their points, as well as handing out a few track craft lessons to some of Coventry’s more inexperienced youngsters. Coventry came through the test and took the victory. Team bosses Carl Wassall and Dave Morris will hope that the side continues to go from strength to strength and can challenge once again in Midland League Division 2. 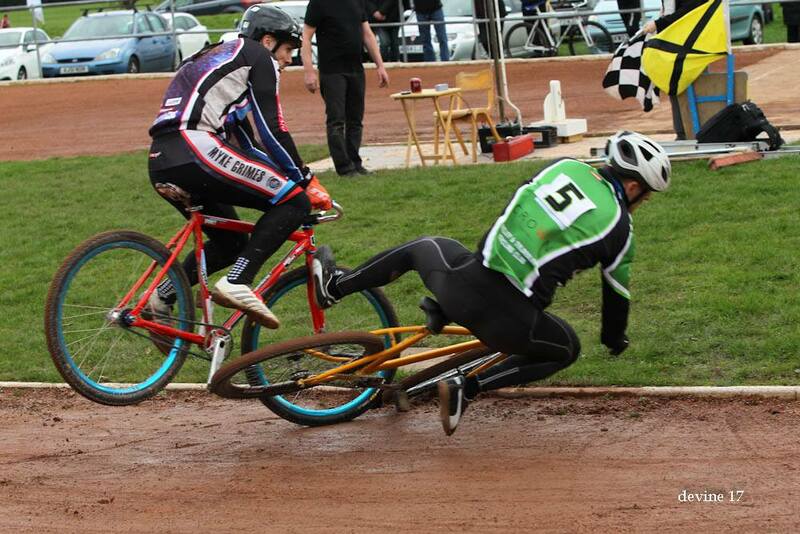 Owen Gregory (Brandon top) takes on the challenge from Coventry team mate, Matt Hambidge, who guested for Birmingham. Photos by Paul Devine.